Juneberry Lane: Tutorial Tuesday: Origami Crane Magic, Part TWO . 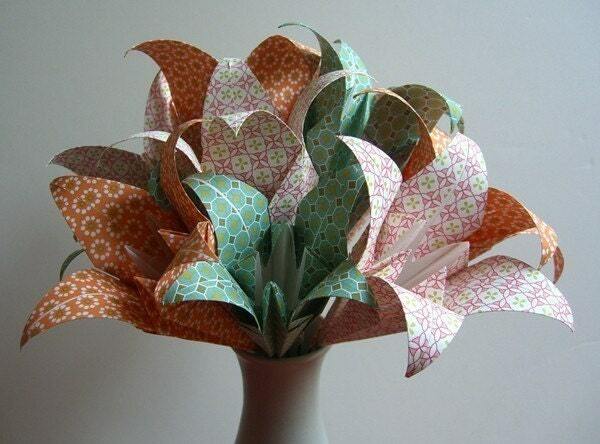 . .
Tutorial Tuesday: Origami Crane Magic, Part TWO . 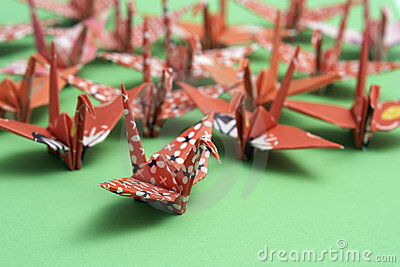 . .
'The crane is a mystical, holy creature in Japan - it represents luck, good fortune, and long-life. 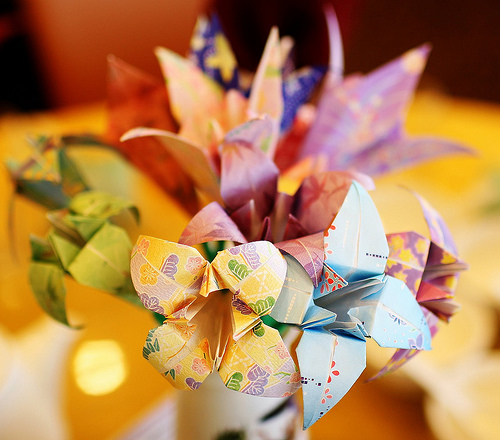 The act of folding cranes, specifically, 1000 cranes, is said to make the folder's wish come true. 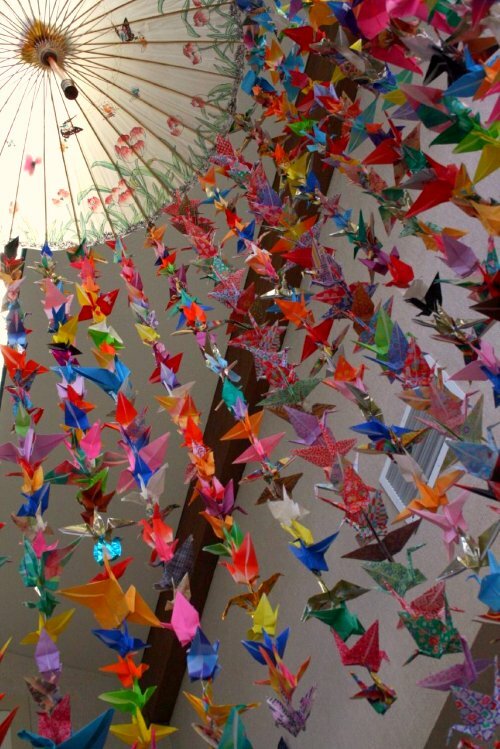 Strings of one thousand paper cranes are often sent to places where tragedy has struck as a symbol of hope & healing. 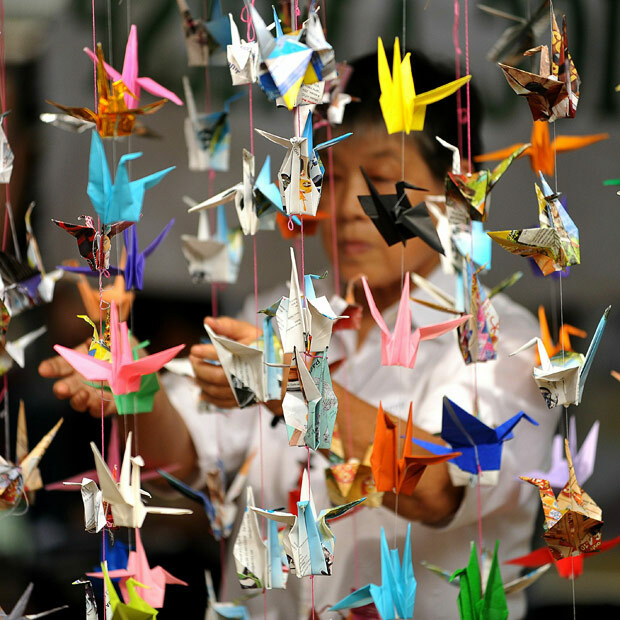 Sometimes groups will fold 1000 cranes for an ailing friend in hopes of speeding their recovery. 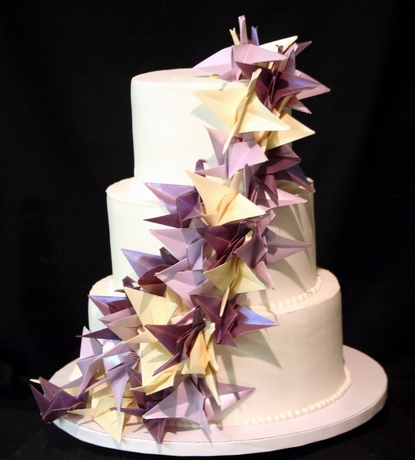 How about on a cake? 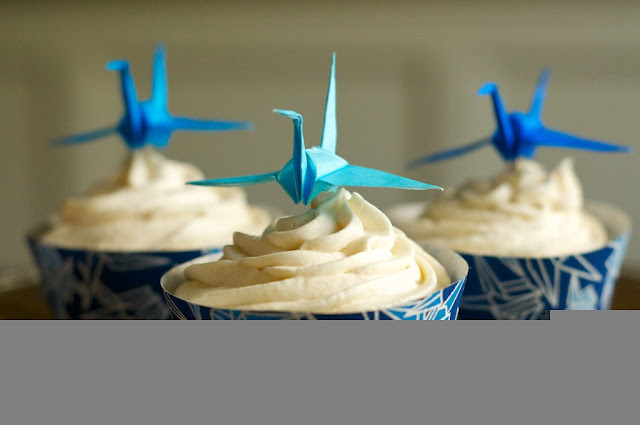 Or even cupcakes . . .
2. 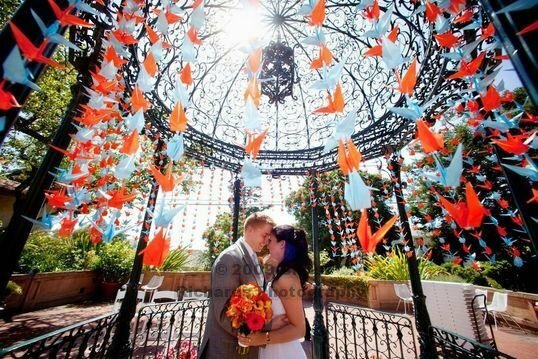 Decide how many cranes you'll need per strand. 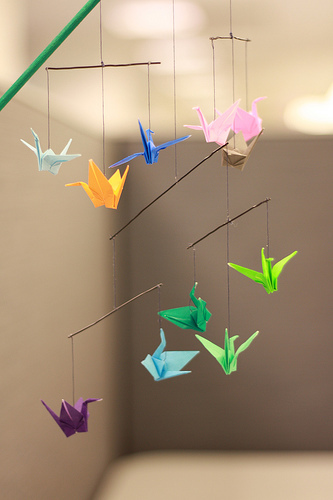 Do this by dividing the number of strands by your total number of cranes. 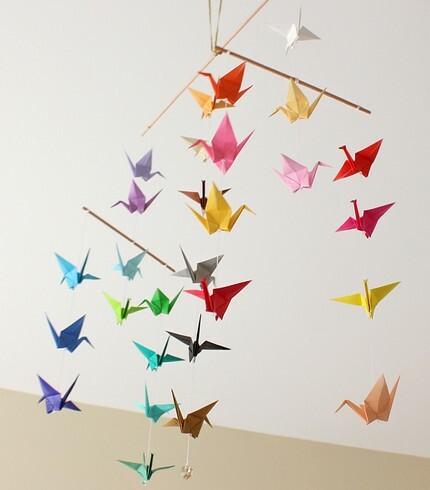 (Divide the length of the strand by the number of cranes you'll be putting on it. This is your length per crane. Subtract the height of the body of each crane from the length per crane to determine the length of the empty space above it. 3. On the underside of each crane is a small hole. We're going to run a needle up this hole to hang the cranes. 4. 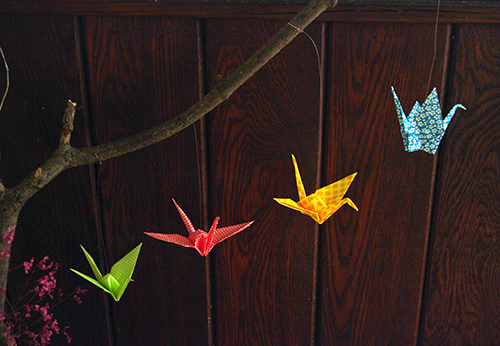 I used gold crafter's string to hang the cranes on. 6. Run the needle into the hole. 7. A wider view of the needle going in with the thread attached. 8. This is what the needle should look like coming out through the top of the body section. 9. And the thread pulled through. 10. Put as many cranes as needed onto the strand of cord. 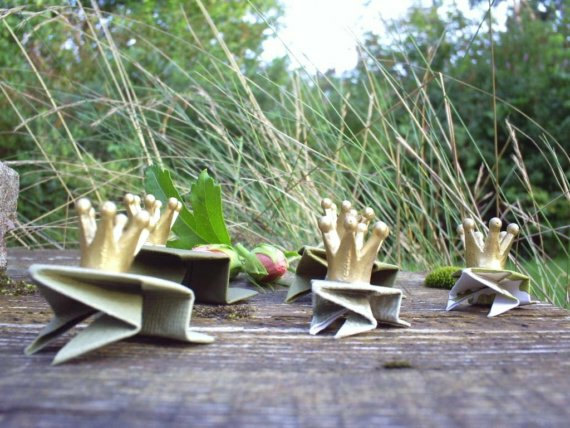 You are going to begin gluing them into place from the bottom up so you will need to know the exact length each piece of cord has be. 12. 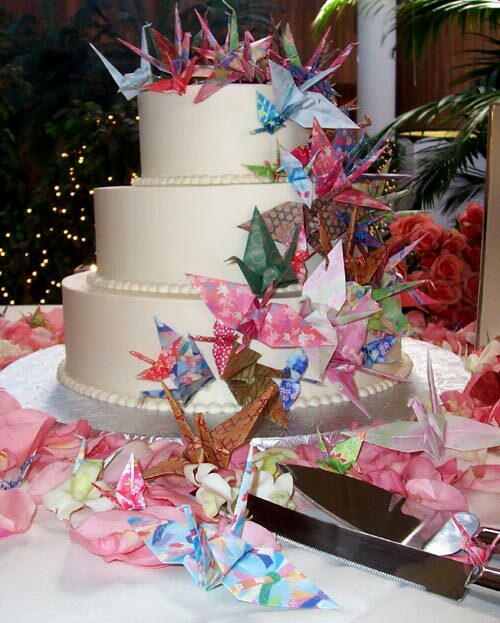 The needle will be at the top of the cord and the cranes all piled around the bottom. Add a small drop of hot glue to the bottom, cut end of the cord. 13. Slide the bottom crane onto the bead of hot glue keeping it as level as possible. 14. 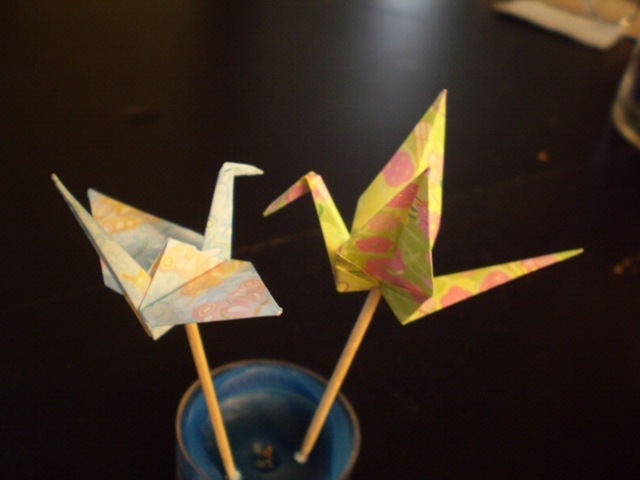 Now measure the distance needed between the two cranes to set the next crane into place with a bead of hot glue. I'll be adding the second crane from above the blue one pictured here. 15. Whatever your set measurement will be between each crane you can use a guide or make one out of a cut piece of cardboard to set the placement of each crane. 16. Set the bead of hot glue slightly above where you want the crane to sit so you can slide it down the cord a bit, sealing the glue into the hole and onto the cord. 17. Repeat this process for each crane. 18. 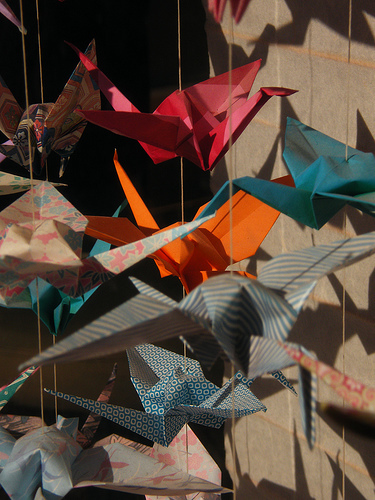 It doesn't matter if there are five cranes or fifty per strand, the process is the same. 19. If there are small glue threads that come off the hot glue gently remove them without disturbing the glue holding the crane in place. Stringing crane tutorial courtesy of The Flirty Guide. The problem was, I just couldn't find a theme to go around it that I loved. 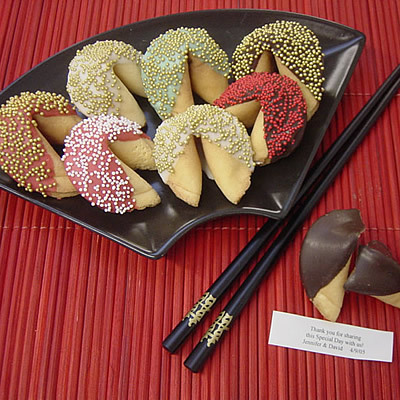 I mean, Japanese Cherry Blossoms are amazing, and since the Fortune Cookie originated in Japan, this would be perfect if you knew you were having a girl. 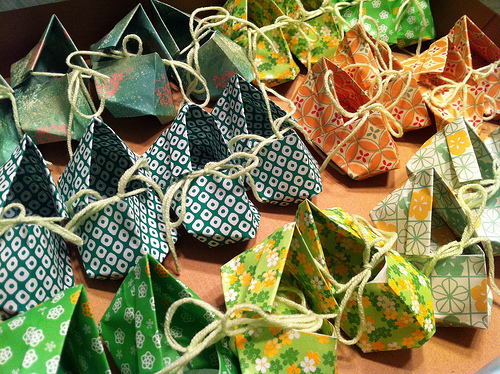 But these origami cranes would work for either gender, don't you think? 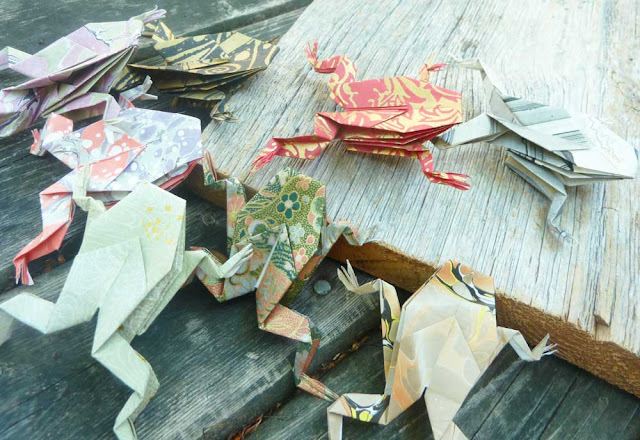 And then there's always origami frogs & flowers too . 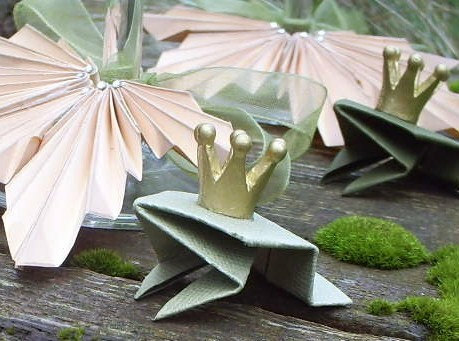 . .
And even these amazing baby booties would work perfectly for your Origami Gender Reveal, no? thanks for pot this information..its very interesting to visit this websites..